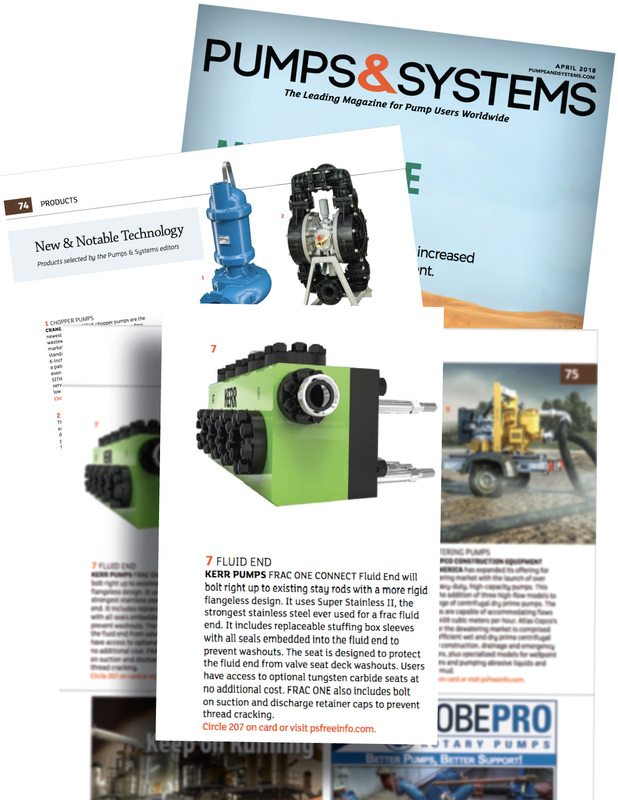 KERR PUMPS FRAC ONE CONNECT Fluid End will bolt right up to existing stay rods with a more rigid angle-less design. It uses Super Stainless II, the strongest stainless steel ever used for a frac fluid end. It includes replaceable stuffing box sleeves with all seals embedded into the fluid end to prevent washouts. The seat is designed to protect the fluid end from valve seat deck washouts. Users have access to optional tungsten carbide seats at no additional cost. FRAC ONE also includes bolt on suction and discharge retainer caps to prevent thread cracking.